Surrounded by smaller islands, Nanaimo homes for sale offer access to one of the West Coast's most stunning harbour fronts. Grab an ice cream and walk along the waterfront watching the float planes take off. Have lunch at Penny's Palapa on the water while watching the yachts and fishing boats dock. Watch the cannon firing re-enactment ceremony, listen to the bagpipes and tour Nanaimo Bastion or just enjoy a family bike ride along the waterfront, Protection Island or Newcastle Island. The options are truly endless! Keep reading to find out what else I have to say about Nanaimo, or browse the listings below to find homes currently on the market. 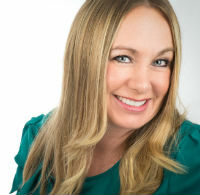 GET NANAIMO LISTINGS BEFORE YOUR COMPETITION! 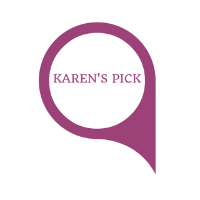 When you team up with Karen Ayou, you'll gain exclusive access to our most Advanced Search Tools! Receive Real-Time Email Alerts the moment a Nanaimo home for sale matching your criteria becomes available on the market. Living on acreage, I love being surrounded by nature, and with over 200 parks nearby, real estate in Nanaimo offers access to the most natural beauty. My favorite spots are Neck Point and Pipers Lagoon—the sunsets and sunrises are stunning! For children's parks, my kids like Maffeo Sutton, because it's so big and because it offers extra waterfront activities like fishing and crabbing, not to mention that they love the outdoor concerts. Beban Park is also a family favourite, as there's always something exciting going on. Check out a Clippers game, ride the indoor pool's lazy river and waterslides, play golf or tennis or take your kids ice skating after a long play at the park. That'll wear ‘em out! Nanaimo's vibrant downtown has changed a lot over just the last year or two. 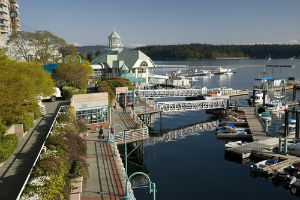 Aside from hosting several festivals such as the Bathtub Race, Silly Boat Regatta, Nanaimo Dragon Boat festival and Summertime Blues, the city center offers a wide variety of funky shops, art galleries, museums, a theatre and even the ever-so-popular Downtown Farmer's Market in the summertime! And my favorite one…..THERE'S NO TRAFFIC!! “I had no idea Nanaimo had this much to offer!” is a phrase I hear often from my clients. Visitors pass through the endless strip of malls thinking that there's really not much to Nanaimo aside from some good shopping, but Nanaimo is SO MUCH MORE! Interested in scheduling a viewing for a particular Nanaimo home? Just contact Karen to set it up.